Franchise integration made easy - honestly! Franchise integration made easy – honestly! Often associated with fast food outlets and off licences, franchising gives people the opportunity to buy into an established operation and provides businesses with the ability to expand without investing heavily in setting up a new shop. However, franchise opportunities in the UK go beyond food and drink; from health and beauty, to fashion, jewellery, sports clubs, coffee shops and so many more, the franchise possibilities are endless. For retailers managing a network of franchise stores, they have many unique challenges, mainly that franchised stores are often fragmented from business owned stores. But consumers don’t know this. Shoppers expect a chain of stores – franchise or not, to have unified systems and offer them omnichannel retail options they are used to from any high street chain. 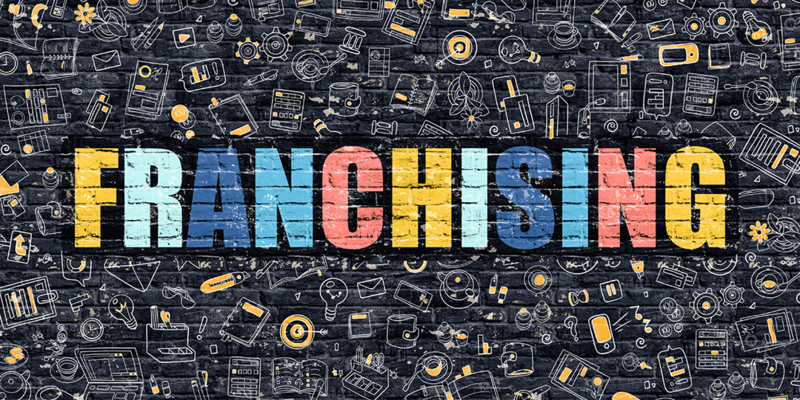 Options such as click and collect, shared promotions, gift cards, loyalty and real-time stock data to name a few; but how many franchises can truly offer this? Jason Cook, former IT Manager at Neal’s Yard Remedies, 50 owned stores and 16 franchised stores. It’s essential that retailers get the most out of franchised stores and having full visibility of what is happening in each store is crucial to success. Just because the stores are not run by the main business doesn’t mean their retail management systems can’t be, and believe it or not, it’s more achievable than you’d think. Full retail integration lets retailers operate both company-owned and franchise stores across multiple countries, currencies, and VAT and tax requirements, all on a single system. Having all locations on the one system makes it easy for head office to set pricing and promotions across global locations, without adjusting VAT and tax, keeping it simple. Managing permissions by store, group and location means that you can set certain permissions for each individual store, whether they are a franchise or owned, it’s purely down to what permissions you want each store to have. Sometimes there may be sensitive information that head office may not want franchise stores to see so being able to restrict access to sensitive information is crucial. Integrate omnichannel promotions across an entire franchise network in seconds, so that customers shopping in all locations have access to all promotions set by head office. Ensuring all customers have equal access to promotions is a sure-fire way to increase loyalty! Real-time stock control and visibility of sales provides accurate reporting and means that head office doesn’t need to wait for each individual shop to provide data – it’s all instantaneous. Ever had customers walk out of a franchise store because they can’t use a loyalty program or gift cards in franchises? A completely integrated EPoS system lets retailers unify loyalty schemes and gift cards, meaning you can sell and accept branded gift cards at brand-owned or franchise shops and online and still let customers collect and redeem loyalty points across all channels. Genius. Back office reporting provides the franchisees with clarity of their own business including, stock holding and sales, giving them the tools needed to operate individually but still see how the whole business is performing. It also easy to forecast trends, keeping the whole business competitive. If your retail operation runs franchise stores and you need to integrate your systems, take a look at the RetailStore platform brochure to see how Cybertill can help. Home/Resources / Franchise integration made easy – honestly!